Washington DC Jazz Network maestro and vocalese guru George V. Johnson Jr. performs Friday June 10 at 5 p.m. at the National Gallery of Art Sculpture Garden to help kick off DC Jazz Festival events, while veteran bassist Pepe Gonzalez performs at Westminster Presbyterian Church at 6 p.m., and later that night the festival’s Hamilton Live shows begin featuring Jazz Journalists Association 2016 awardee and violin virtuoso Regina Carter with her quartet and D.C. native bassist Ben Williams with his group Sound Effect. 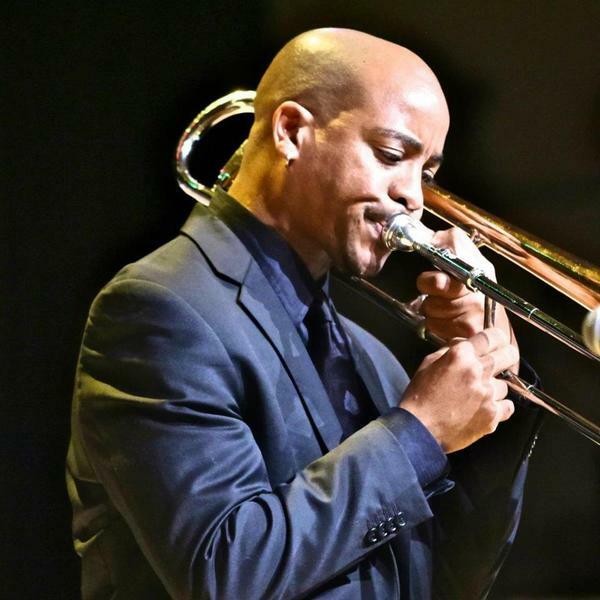 East River JAZZFest, part of the citywide DC Jazz Festival running June 10-19, opens with the Blue Note Tribute by the Kenny Rittenhouse Quartet with trumpeter Rittenhouse, pianist Vince Evans, bassist Herman Burney and drummer J.C. Jefferson at 7:30 p.m. Friday June 10 at We Act Radio, 1918 Martin Luther King, Jr. Ave. SE. Saturday June 11 at 2 p.m., the Bill Washburn Ensemble entertains for a free concert at the Dorothy Height Benning Neighborhood Library, 3935 Benning Road NE. Original jazz compositions by trumpeter Freddie Dunn & guitarist John Lee are featured at a free event at 10 am Sunday June 12 at the Kenilworth Aquatic Gardens 1550 Anacostia Ave. NE. And on Monday June 13, at 7:30 p.m., the Piedmont Blues compositions of legendary bluesman Phil Wiggins will be presented by the Phil Wiggins Duet at Anacostia Playhouse, 2020 Shannon Place SE. For complete information go to http://www.dcjazzfest.org or http://www.eastriverjazz.net. Other festival highlights this weekend include Brad Linde’s Team Players performing Saturday June 11 at the Atlas, while the Capital Bop DC Jazz Loft Series opens with Makaya McCraven’s In The Moment and the Marquis Hill Blacktet with Carolyn Malachi at Arris in Southeast, the Smithsonian Jazz Masterworks Orchestra presents its “Incredible Jimmy Smith” show, Kurt Elling is at Hamilton Live and Anthony Nelson is at Twins Jazz. Sunday June 12 Transparent Jazz has its final showoff the season (see below) with The Bill Cole Trio and The Matthew Shipp Trio performing at the Atlas, while the Hamilton Live features Etienne Charles Creole Soul and the Jimmy Greene Quartet. Monday June 13 Lena Seikaly is at the Sylvan Theatre at noon for a free show and that night the DC JazzFest Salutes Howard University Jazz in a show at 7:30 p.m. at the Kennedy Center Concert Hall with Benny Golson, Dr. Fred Irby of the Howard University Jazz Ensemble, Dr. Arthur Dawkins and others. 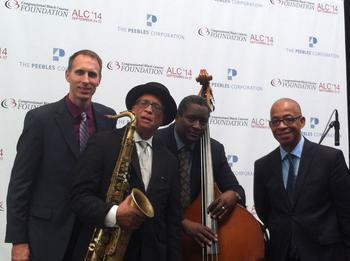 during the DC Jazz Festival. Other headliners at The Hamilton Live during the festival include Maceo Parker, Harold Mabern, Steve Turre and Joey DeFrancesco. 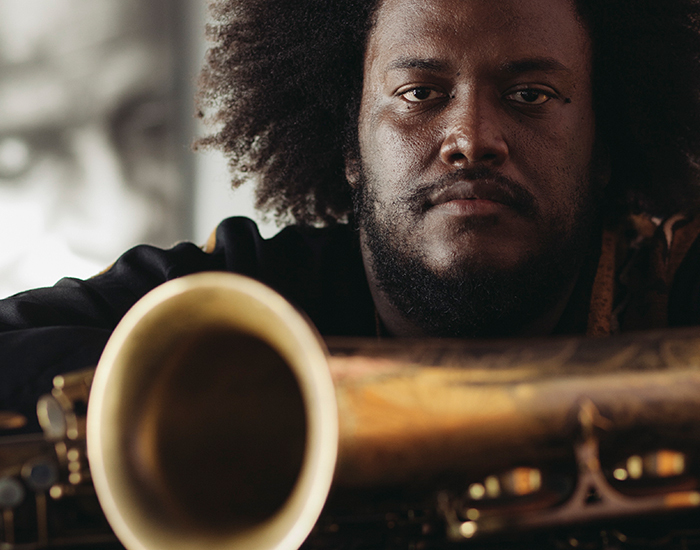 Headliners at The Yards Park on the Capitol Riverfront June 17-19 include Jazz Journalists Association 2016 awardees vocalist Cecile McLorin, Salvant and saxophonist Kamasi Washington; The Chuck Brown Band, Eddie Palmieri Latin Jazz Septet, DC JazzPrix finalists, E. J. Strickland, Fred Foss and Ravi Coltrane. Other CapitalBop shows at Arris, 1331 4th St. 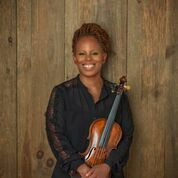 SE near Yards Park, include Michele Rosewoman & New Yor-uba with Amadou Kouyate June 17; and Orrin Evans’ Captain Black Big band with the Washington Renaissance Orchestra June 18. For complete DC Jazz Festival information, including ticket information, event times and locations, go to http://www.dcjazzfest.org. Reginald Cyntje performs at The Hill Center June 19. 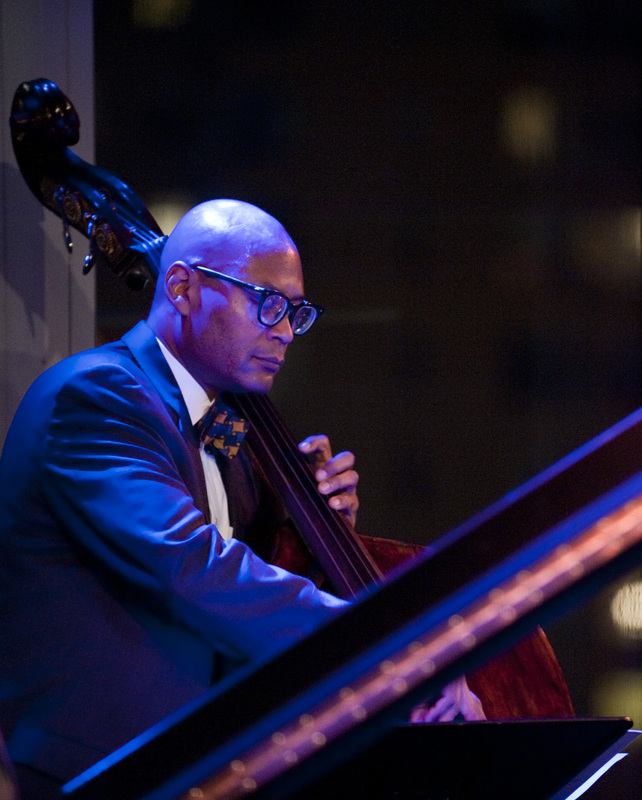 Other June jazz highlights include Kenny Garrett June 16-19 at Blues Alley; Greg Lamont June 17 at Westminster; Michael Thomas Quintet June 17-18 at Twins Jazz; the Reginald Cyntje Group June 19 at The Hill Center; Charlie Young’s Tribute to Cannonball Adderley show June 24 at Westminster; Thinking About Jazz/Cannonball Adderley: Walking Tall, June 25 at Westminster; George V. Johnson Jr. June 26 at Meade Memorial Episcopal Church in Alexandria; Al Strong June 26 at the DC Jazz Jam at The Brixton; and the Dwayne Adell Trio June 27 at Blues Alley. The final Transparent Productions presentation of the 2015-16 season features two powerhouse avant trios when the Bill Cole Trio and Matthew Shipp Trio perform for 7 and 8:30 pm shows Sunday June 12 at the Atlas Performing Arts Center, 1333 H Street NE. The Bill Cole Trio hits at 7 pm, followed by the Matthew Shipp Trio, with a “Closing Improv Combined Trio Set” with tickets $15 advance, $20 at the door per set, or both sets for $25 advance sales only! For more information call 202-399-7993 or go to http://www.atlasarts.org or http://www.transparentproductionsdc.org. June 12 with Bill Cole and Matthew Shipp. Shipp is on piano in his trio with Michael Bisio, bass and Newman Taylor Baker, drums. “Whether sharing original solo interpretations of standards – What is This Thing Called Love, Autumn Leaves, Matt Shipp remains one of today’s most original and diverse piano voices,” says Transparent Productions. Jazz fans everywhere are asked to help celebrate the life and music of the great jazz composer, author and educator David Baker by supporting Baker friends and his widow in the production of “a recording titled Basically Baker Volume 2: The Big Band Music of David Baker featuring the Buselli-Wallarab Jazz Orchestra. All proceeds generated by sales of the recording will go directly to the David N. Baker Scholarship Fund to provide a financial means for prospective students to attend the Jacobs School of Music Jazz Studies Program. The CD will be released by Patois Records,” according to Braithwaite & Katz Communications. For more information go to https://www.indiegogo.com/projects/basically-baker-2#/. Many thanks to the Jazz Lobby effort led by Aaron L. Myers II, Herb Scott, George V. Johnson Jr., Tacha Coleman Parr, Donald Williams and many others that resulted in the D.C. Council passing a resolution last month that honors the music and the musicians and serves as the first step of an effort to create a “working model” of cooperative support for jazz in Washington by the city government. 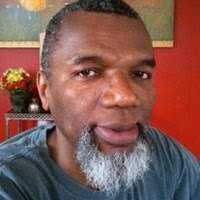 For more information, see http://www.facebook.com/dcjazzlobby and http://www.washingtondcjazznetwork.ning.com. the new Mulebone Resturant in D.C. Hot sounds last month included trumpeter DeAndre Shaifer, a growing virtuosic player with every performance, highlighting a set at the DC Jazz Jam show one Sunday at The Brixton with fiery, then introspective, then avant lines in a group that included bassist Nicole Saphos. There was vintage Harry Appelman with his smooth elegance on piano at the jam session one Saturday at Columbia Station. Another fine pianist, Robert Murad, led a swinging session, with hot saxist Luis Faife and whipping drummer Frank Williams IV one Sunday night at Jazz and Cultural Society. And the Greater U Street Jazz Collective with masterful, tasteful tenor sax man Russell Carter Jr., with guest vocalist Sendy Brown, jammed away one Monday night at Vicino’s in Silver Spring. Smithsonian Anacostia Community Museum in May. 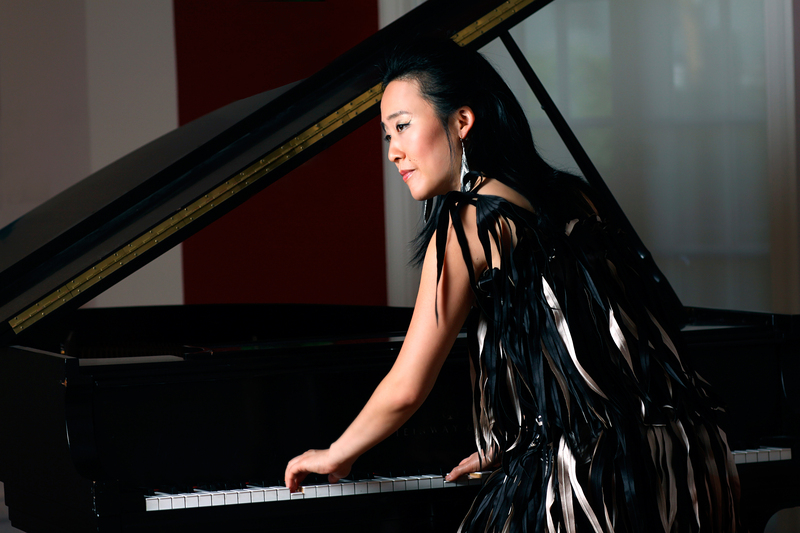 And then there was in late May New York pianist Helen Sung at the Rhythm Café at the Smithsonian Anacostia Community Museum, displaying her deft, melodic touch with her quartet, including John Ellis on tenor sax, Boris Kozlov, bass and the inimitable Rudy Royston, drums. The group swung hard on “It Don’t Mean a Thing …” and Sung’s “The Waiting Game” was a delight with her rippling charm on piano and Royston’s empathetic drumming, and “Brother Thelonious” featured Sung’s bluesy work, and Kozlov’s grooving, bluesy solo on bass. 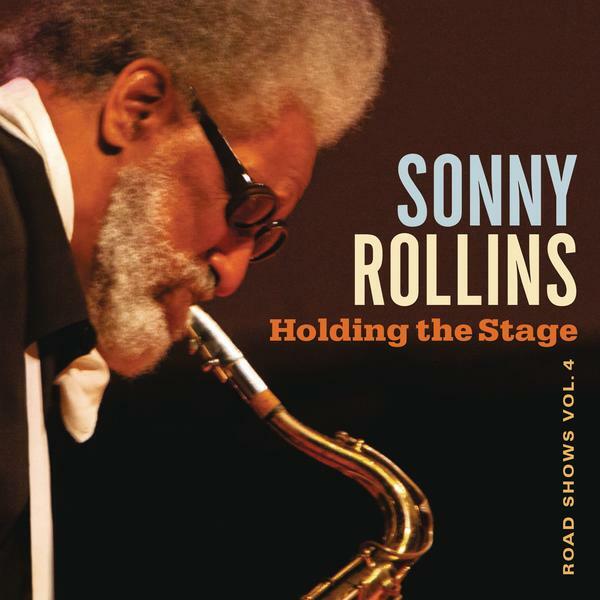 The magic of Sonny Rollins, as shown again on his latest recording, “Holding The Stage: Road Shows Vol. 4 on his Doxy Records label, is what seems like an infinite capacity for blowing mind-blowing spirals of ever-changing melodies of innovation. Beginning here with “Disco Monk,” Rollins’ homage to the late piano guru, true to Monk, an ever-shifting rhythmic landscape is colored by Rollins’ pop riffs, then soft intertwining mystical romps, all telling a story … here a joyful, playful and then sometimes serious introspection of a tale. Surely we won’t hear anything new on “Don’t Stop the Carnival,” right? How can you improve on a classic’s classic? Somehow Rollins gives his signature tune of his latter development as a freer, worldlier creator than his early bebop grounded days a fresh take. Still a stomping dancing jam as always, here it is nuanced with a honeyed glaze, if you will. His players of course are integral to the magic he creates on “Holding The Stage,” and they include longtime soulmate/bandmates like trombonist Clifton Anderson and bassist Bob Cranshaw; pianists Stephen Scott and Mark Soskin; guitarists Bobby Broom, Peter Bernstein, and Saul Rubin; bassist Jerome Harris; drummers Kobie Watkins, Perry Wilson, Victor Lewis, Jerome Jennings, Al Foster, and Harold Summey Jr.; and percussionists Kimati Dinizulu, Sammy Figueroa and Victor See Yuen. And the vintage Rollins’ solos here, are all compelling, many including those melodies from other songs within a song riffs Rollins and other master sax players weave in and out of their tunes, as he does on “H.S.” and others. 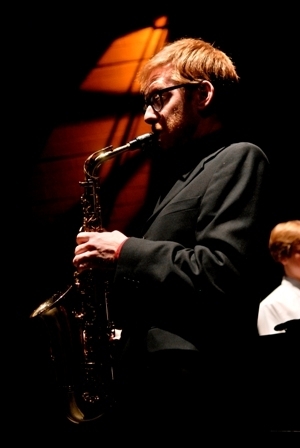 One never knows, us sax lovers, which we prefer, those jamming, romping 15 minute non-stop roller coaster rides – or the master saxists’ beauty with a ballad, wrenching the melancholy out of the melody – as he also does on “Your Mine You” — over and over as Rollins does with his winding, sometimes whining, crying, sometimes growling emotions over romance’s fickle ways. Here in “Mood,” Rollins’ plaintive cries are as heartfelt as ever. “Mixed Emotions” also displays his tender way with stepping down the tension to a slow motion waltz of beauty. “Sweet Lelani” is another lilting, waltzing lullaby of charm, spiced by Rollins’ searing, wailing golden sax. It’s all good. All timeless classic Rollins, our supreme innovator here on earth. 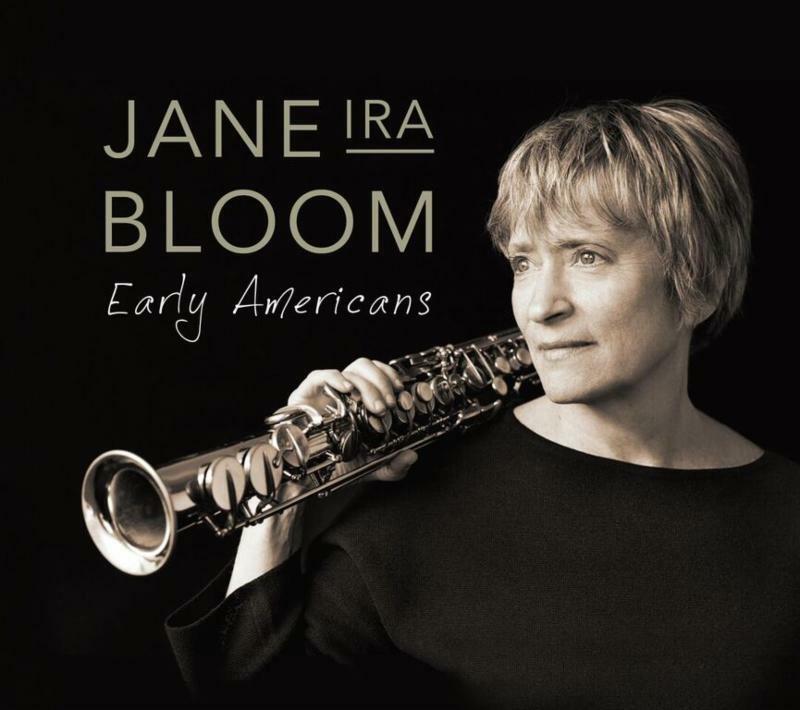 For proof that Jane Ira Bloom is not just a pretty pretty good sax player, check out her latest recording “Early Americans,” in particular tunes like “Cornets of Paradise.” While Bloom is well known in some quarters for pleasing flights of melody on her soprano saxophone, her award this year as the best on her axe from the Jazz Journalists Association shows many recognize her talents go further. “Cornets of Paradise,” while showing off her compositional range into the freer genres of the music, also displays her reaching into her edgy bag to blow some smoking, jarring riffs. The tune is just one of them on this CD that display a range of rhythmic variety, tension and intrigue that blends into a highly entertaining journey. Performing with expert, longtime bandmates bassist Mark Helias and drummer Bobby Previte, Bloom’s trio produces so much sound on the CD you have to keep looking at the personnel list to see if there are other artists, with the orchestral echoes so full. “Big Bill” for instance booms and shouts, with Previte’s whipping splashes and tapping cymbals trading with Bloom’s racy runs on sax, over Helias’ rumbling, grooving bass melodies. See http://www.janeirabloom.com for more information.